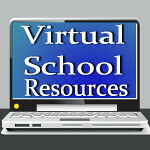 Virtual School Resources: Blogorama Bonanza Back 2 School Event! Welcome to the 2012 Blogorama Bonanza Back 2 School Event hosted by Jyla's Three Of Us Giveaway, Ice Fairys Treasure Chest, & Mommies Point of View. Thanks to the amazing sponsors for providing awesome products for this prize package giveaway. Be sure to visit each blog from the linky below and enter for your chance to win more great prizes! This event will close on August 28, at 11:59 PM EST Time. Have fun! One winner of my giveaway will get two awesome books! Do you try and try to have devotions in the morning with the kids? With Make it Count, 180 Devotions for the School Year, problem solved! The second book is 101 Great Gifts Kids Can Make. These are easy low cost gifts and most can be made without help from Mom! Enter to win both books in the Rafflecopter below! Now go enter all the other great giveaways at the blogs below! As a homeschooler the start of the school year means less "me" time but I love being a part of my children's learning adventures. as a homeschooler I'm looking forward to our first full year of learning together. Well, I'm a teacher so when the kids are back to school so am I. So no fun there! I am looking forward to getting back to a normal schedule!